This past Fall Loop celebrated their 10th anniversary, and to celebrate they released their newest book aptly named, ’10’…featuring twelve gorgeous patterns from designers Meghan Fernandes, Stephen West, Rachel Atkinson, Paulina Popiolek, Donna Higgins, Kristen Kapur, Ysolda Teague, Juju Vail, Tif Fussell, Claire Montgomerie and Pam Allen. I’m a big fan of Susan’s eye for composition, with each pattern being beautifully photographed and knit in a color dyed just for Loop. You can find the book at Loop, their shop online and at a handful of lovely local yarn shops and some great news, you can now find the e-book version of ’10’ on Ravelry. Fiber folk: Print publications play an important part in this fiber community of ours, and a key player in this editorial and inspirational world is Amirisu…a Japanese knitting magazine founded by Meri and Tokuko, featuring patterns in both Japanese and English accompanied by beautifully written articles and photography. 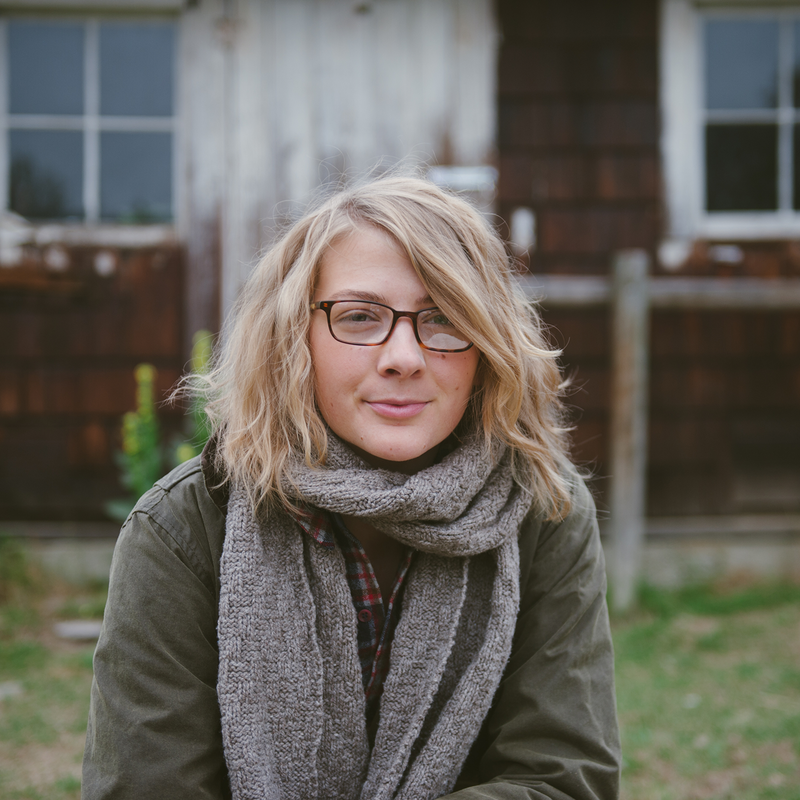 Meri left her career as a consultant to pursue this passion in fiber and never looked back. 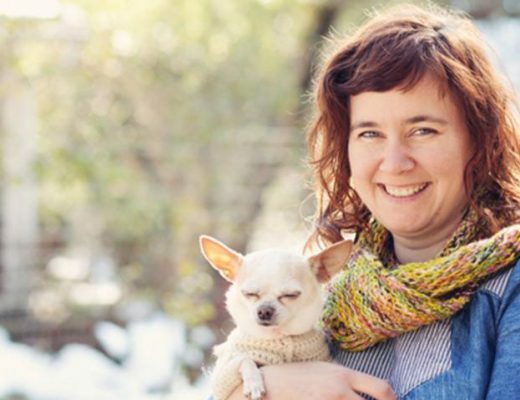 From Amirisu to Walnut, Amirisu’s local yarn shop, Meri is a creative inspiration and fiber powerhouse. You can find Meri at amirisu.com and on Instagram @amirisushop. Sponsor: Moeke yarns was founded by Ioana van Deurzen in 2014, alongside her brother Radu, his wife and their parents. 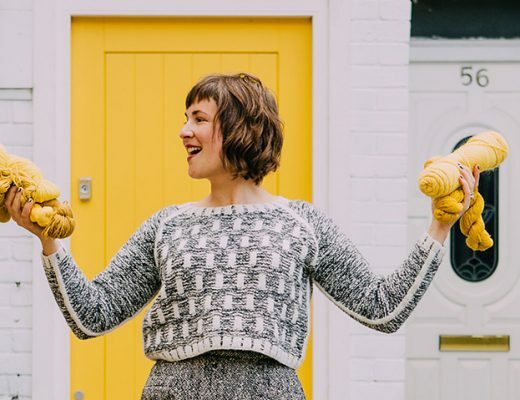 Ioana and her family have an incredible story, which you can hear about in Episode 8, and this story is what spurred the dream and now reality of creating a yarn company. 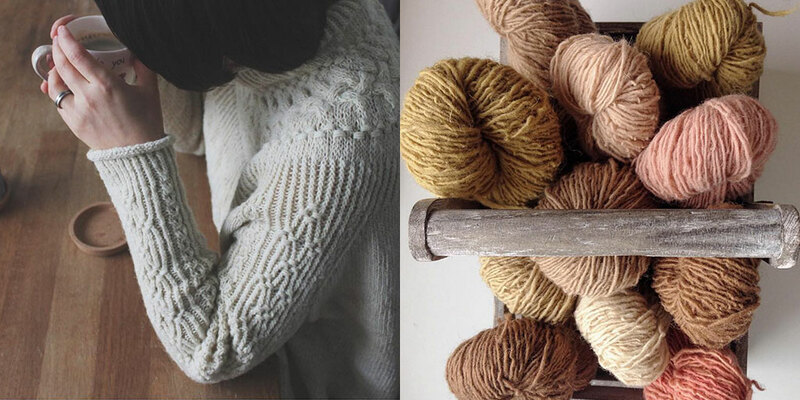 The Moeke yarns are full of character, from the unique European breeds they’re made of, to the traditional Romanian spinning mills and the natural dyeing that Ioana’s parents do in their home in Romania. From her childhood, growing up in Romania during the revolution, her immersion in fiber through her grandmother and her purposeful journey to bring something back to the Romanian community, Moeke yarns is one of my favorite yarns and I hope it becomes one of yours as well. Giveaway: The winner of last week’s giveaway is Claudia Manley. You’ve won Romi Hill’s new book “New Lace Knitting” and 4 skeins of The Fibre Company’s Terra yarn from Kelbourne Woolens. Congratulations! 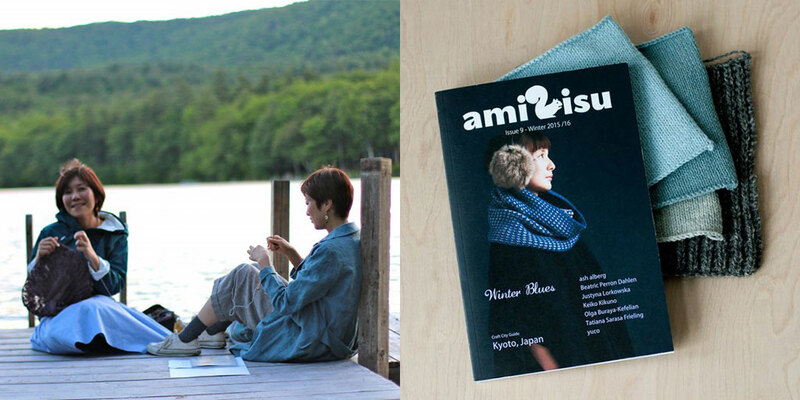 This week’s giveaway is sponsored by Amirisu and they’re giving away 3 copies of the Amirisu magazine. To enter this giveaway, leave a comment on this blog post. Another great podcast! Thank you for the giveaway!. Your giveaways are always fabulous! Can’t wait to listen to the episode!! I am a big fan of Amirisu and their sense of style. I loved listening to this podcast today!! Thank you for another fabulous giveaway! Such an inspiring interview! Wishing Meri and Tokuko all the best as they follow their passion!The Amirisu magazine looks beautiful–what a generous giveaway! Thanks! I love Amirisu! (seems to be a trend here :)) Thanks for another great podcast and giveaway. This was a great podcast. I thought it was interesting to learn how difficult it is to get domestically produced, quality wool yarn in Japan. I think this is something we take for granted in the US where we are fortunate to have so many great local farms eager to share their fibers with the hand work community. I wanted something to listen to while doing some mending on the sewing machine and remembered the great interview with the author of Sequence Knitting. My bookmark brought me to today’s episode and once again, I have been delighted and inspired by your podcast. Now to chase down Amirisu patterns on Ravelry. Thank you so very much! Great, great podcast. I live in Japan but in a tiny village in the mountains so I’m pretty far removed from the fiber scene in the larger cities, so it was really good to hear from the community itself what was going on. Also, super exciting to hear my name in the podcast! It was lovely to listen to Meri and good to know what Amirisu means! So excited for this episode! 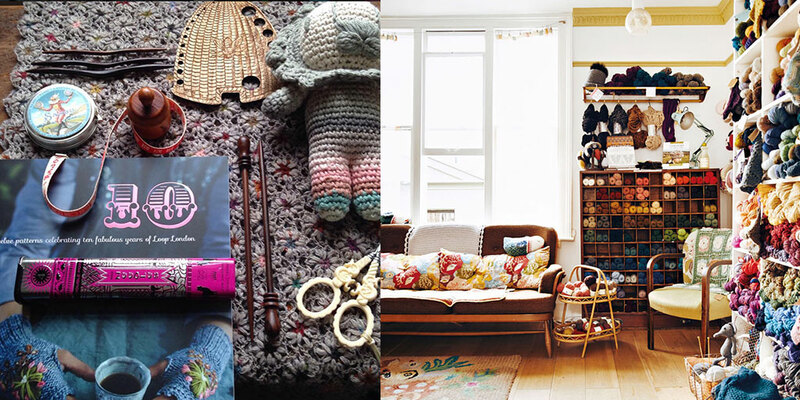 Always lovely to realize the international connections that exist within the knitting community. 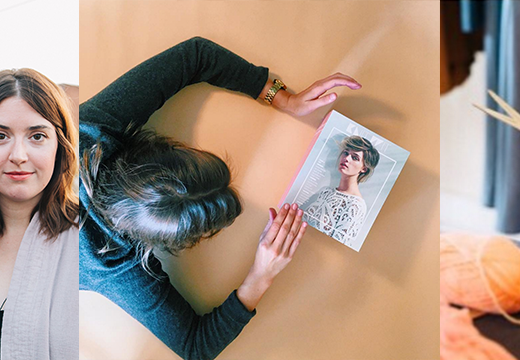 I love all things print, so would love the opportunity to peruse through a physical copy of Amirisu. I found the conversation about local yarn interesting. Japan has such a wonderful textile tradition, but the common fibres in use were cotton, ramie, silk, hemp. 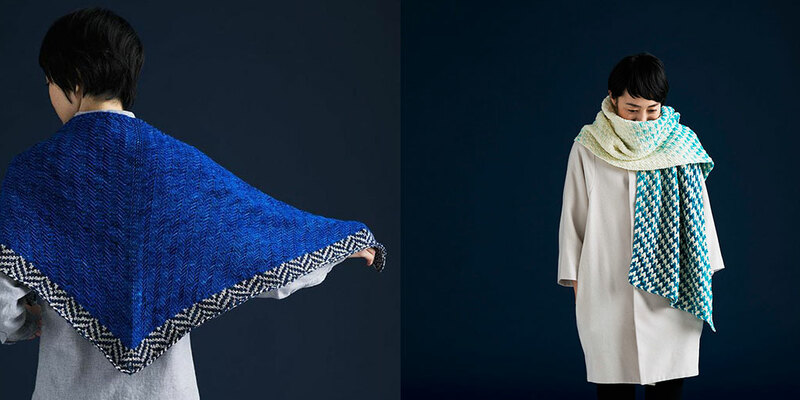 While the idea of Japanese wool yarn is interesting, I would like to learn more about Japanese yarns that preserve the ancient knowledge of working with these other fibres. Thanks for another though-provoking podcast, Ashley! love your podcasts. very curious about Japanese knitting patterns. 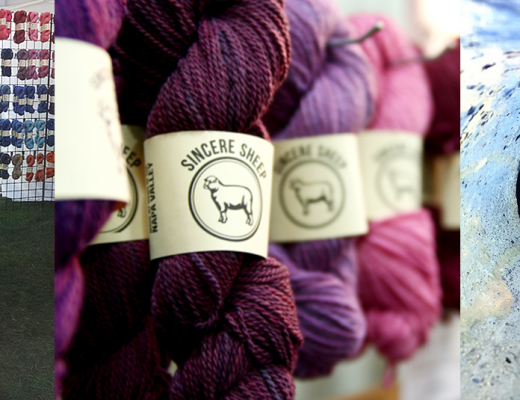 I’ve never thought much about how the types of local yarn are different around the world but it totally makes sense! I think it’s quite interesting to learn these little tidbits. Also, a very inspiring story. Amirisu’s aesthetic looks quite unique, I’m excited to check out some of their patterns! Thanks for this podcast, I’m a big fan! Such an interesting podcast -Thank you. I am a New Zealander and in this country we have lots of sheep farms. Since New Zealand and Japan are a similar size (but a lot less people!) it would be wonderful if Meri’s dream of Japan produced wool came true. Cannot wait to listen – I love the magazine! P.S. you have the wrong instagram account listed. Loved this interview. Makes me want to hop on a plane to Japan! How wonderful!! Loved this interview – I just started following Amirisu a few weeks ago and was excited to see the feature!! LOVED this interview! My list of countries to visit on a fiber inspiration tour is growing!! Thanks Ash! Ooohhh! I would love to win. Have read about Amirisu but don’t have a copy yet. The magazine looks wonderful, can’t wait to check out more from Amirisu. I love all the podcasts, but I especially enjoyed this one. I would LOVE to own 3 copies of Amirisu! Lovely as usual! Would love to have this one. What a great interview! I love the Amirisu patterns, and I loved hearing the story behind it all. I’ll be visiting Yokohama this summer and perhaps I’ll be able to take a detour to Walnut! amirisu is so inspirational. i love the simplicity and aesthetic of the designs. I’ve been hearing about this magazine for a while, so how cool to learn more about it! I have several favourite podcasts, but yours is always the soothing one. Glad I found it. Thank you for introducing me to Amirisu! I’m so excited to explore their patterns on Ravelry and get knitting! I discovered your podcast a month ago and have been enjoying catching up with the back log and feel inspired a-new to knit and finish projects for myself and loved ones. Additionally as an interaction designer working in the Bay Area, it’s so inspiring to hear about your personal journey. Thank you so much! This was so great to listen to! I really look forward to your podcasts. Thank you! Another wonderful podcast! I listen on my way to work and I think good thoughts all day! Another great episode! It helped a long drive fly by. I was surprised to hear about the differences that exist between Japanese patterns and US or other patterns. I’m even more curious to take a class on Japanese knitting techniques and patterns now. I also loved hearing about how Meri interacted with the internet and social media to develop her knitting. Most people discuss having developed their skills pre-ravelry. Here is a glimpse of discovery and development in conjunction with blogs, twitter, ravelry and instagram. I’m really impressed with hearing about the work Amirisu has done. 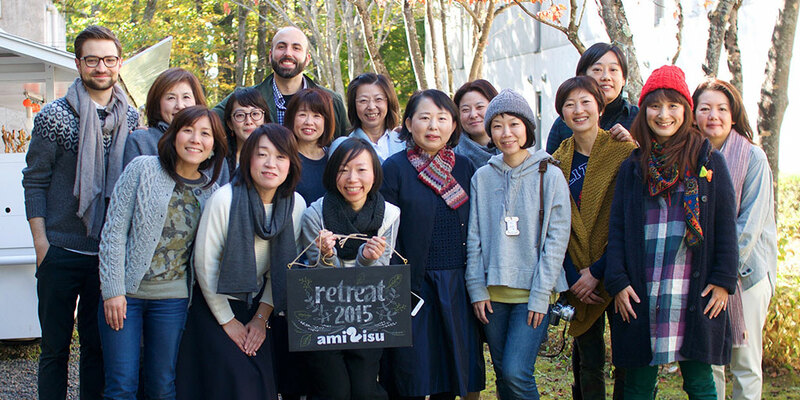 I’m a big fan of Amirisu and would absolutely love to go to a retreat! This podcast must take an incredible amount of time to edit and record —the professionalism shows! Fascinating as always! 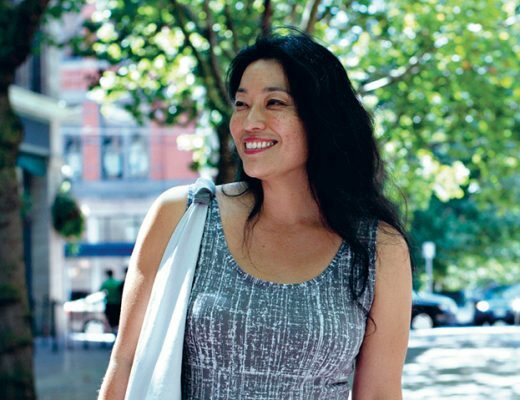 I loved hearing more about knitting’s place in Japanese culture. Very inspiring. Thank you! I loved learning about how Amirisu got started and learning a bit about the Japanese knitting industry. As a Japanes woman myself, I was especially inspired by Meri’s story. Best of luck to both America and Tokuko and thank you Ashley for another wonderful podcast! I love to listen to your podcast while crocheting. Interesting and inspiring as always! Thank you so much for this lovely podcasts! Getting to know about Amirisu’s story + how the knitting community is in Japan, it was a real treat. Thank you! I saw their beautiful display of a finished scarf and magazine at the Electronics store in Futakotamagawa, Setagaya-ku. I didn’t realize the magazine was in English too, so now I need to go back and find it. I live and work in Tokyo as a teacher. Many of my fellow teachers are knitters and meet on Tuesdays. One of our biggest frustrations is the lack of quality yarn here in Tokyo. I was so happy to listen to the broadcast and learn more about this industry in Japan. Interesting about the lack of sheep, which makes since due to limited space. 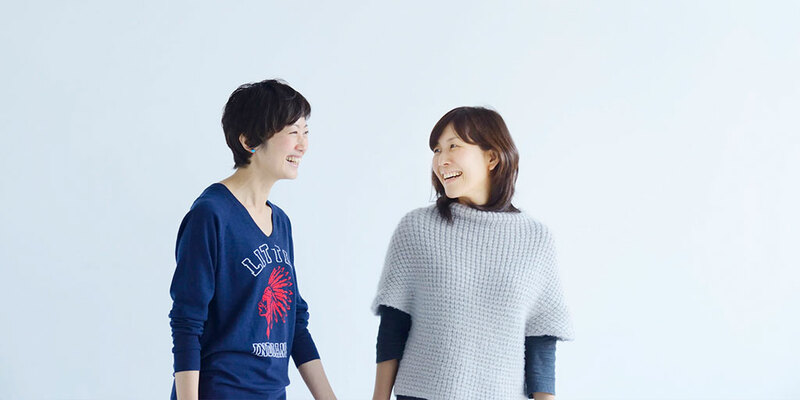 I would love to go to Kyoto and visit their shop and talk about knitting. I love the fun and fresh designs of Amirisu! What a lovely episode! I am so interested to hear about the crafting communities across the whole world, and appreciate the time you. Oth took to record this. Ooh! I’ve been wanting to take a look at this magazine. What a great topic for the podcast! I loved this episode! Made yesterday’s train ride so much more enjoyable! loved this episode , as usual. I love Amirisu as well – I’m 3/4 of the way through their Dipped cardigan, hoping to finish it soon! Thanks for the giveaway. Thanks for the great listening and giveaway treasures! Would love to check out this magazine. I’ve been looking for a consistently good magazine to subscribe to. Thanks for another interesting and inspiring podcast. I was so impressed with the quality of this magazine when I saw it pop up on social media. I would love to see it in its entirety. Loved this episode! And I’d love to win the mag. OK- you got me interested in Amirisu! Thank you! Love this podcast! I learned so much about the knitting community in Japan. Thanks for interviewing Meri! I have been curious about amirisu. Would love to win the copies. so excited for this one! thanks, as always! I’d love to see this magazine. Hope I win but enjoyed the interview in any event! What a great journey for Meri, Tokuko and Amirisu. I loved hearing about it. Loved hearing this story and Love the magazine too! This was such an interesting perspective of the yarn/publishing in Japan. I really enjoyed this episode. Perfect timing! I was a bit behind with the podcasts and decided to take the time to listen today (while making jam with our kiwis and dyeing skeins with onion skins! ), and great surprise, it is about Amirisu, I have just received my first copy of the magazine, so, perfect timing! As for sheep farming in Japan, I wooly recommend reading Murakami’s “The Wild Sheep Chase”, with an interesting and very weird focus on the history of sheep farming in Japan! It was wonderful to hear Meri’s story and to learn how she developed the exquisite Amirisu magazine. Thanks for this continuously superb podcast format. Visiting Japan soon – so I was excited to see this episode! Hoping to visit Walnut on my trip! I’m an American knitter living in Japan, so it was great to hear this episode and learn more about what’s happening here. So far, my experience has been that there are many dedicated knitters here and I’m always noticing beautiful handmade items on the train! Fantastic story! I wish them blessings in their endeavours and am excited to see where they go from here! Interesting story and a great episode! 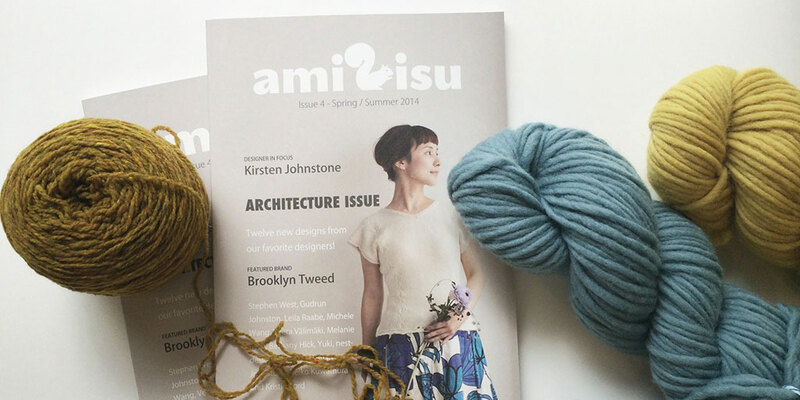 I’ve always admired the Amirisu mag and would love to win a copy. Haven’t seen an issue yet, but after listening to the podcast I’m dying to get a hold of a copy. Love this magazine and your podcast. Always look forward to your episodes!